Becoming a teacher in Wyoming is a very great and rewarding profession. You will have the chance to make a direct impact on the lives of countless children in the state. The following are the steps to becoming a certified teacher in Wyoming! The first important question to answer is what grade or subject you would like to teach. There are different certification requirements for each area. Teachers must hold licensure in the specific content area they wish to teach. For example, if you want to become an elementary school teacher, you would work towards an Elementary certification which applies to grades K-6. If you prefer to teach a specific content area, you would most probably be required to get a secondary certification in a subject for grades 6-12. The Wyoming Department of Education has useful information on schools, curriculum, teachers, and students in the state. In order to become a ‘highly effective" teacher in Wyoming, you must hold at least a Bachelor's Degree and complete an approved teacher preparation program. One of the requirements of becoming a "highly effective" teacher in Wyoming is to complete an approved teacher preparation program. Often times, you will be able to find a program at an approved institution of higher education which blends together the coursework for a teacher preparation program and a Bachelor's Degree. Teacher preparation programs are generally structured on two elements: college coursework and fieldwork. College courses in the program usually focus on subject-specific teaching methods, differentiated instructional strategies, multiple modes for assessment, classroom management strategies, and integration of technology. The element of fieldwork is usually comprised of classroom observations and student teaching or interning. Student teachers have the opportunity to work in classrooms with students for a set amount of time under the mentorship of a certificated teacher. As a student teacher, you will work with the teacher of record to prepare and implement lessons based on the needs of your diverse student population. During the student teaching experience, you may also be responsible for grading assignments, monitoring behavior, and communicating with parents. If you already have a Bachelor's Degree, you can still go through an approved alternative route. Often times, you can complete a post-baccalaureate teacher preparation program. There may be an option that you could even participate in a joint Master's Degree program as well. For up to date requirements please consider visiting the Wyoming Professional Teaching Standards Board. Make sure to contact this organization to insure the best route for Wyoming teacher certification. If you already have a Bachelor's Degree in an unrelated field, you can learn about some alternate routes to becoming a certified teacher in Wyoming. You can earn your teaching certification through a post-baccalaureate teacher preparation program. The University of Wyoming offers a Teacher Certification Program for Post-Baccalaureate Students with an Option to Earn a Master's Degree in Curriculum and Instruction. Wyoming recognizes licensure through the Northern Plains Transition to Teaching (NPTT) program, which is located at Montana State University-Bozeman. The NPTT program is for career professionals with a Bachelor's Degree who want to transition into teaching. The program allows individuals to work in a Wyoming School district while they complete the necessary coursework required to obtain a full teaching certification. This program allows for individuals to transition smoothly from other careers into the classroom. In order to become fully certified to teach in Wyoming, you will need to pass a few tests, such as a basic skills test as well as a subject competency exam. Wyoming requires their certified teachers to pass a basic skills test, which could be fulfilled by taking the CORE Academic Skills for Educators Test. This exam measures a candidates skills in basic reading, writing, and mathematics. In order to show subject matter competency, the Praxis II exam can be taken in the area you wish to become licensed in. This exam will assess your general and subject-specific skills and knowledge. The test is comprised of multiple choice and essay questions. Some colleges or universities may ask that testing requirements be fulfilled before entering or exiting the program. Check with a program advisor to see that will be required of you. Once the certification process is completed and approved, you will be ready to begin your career as an educator in Wyoming. You will be ready to make a positive impact on the lives of all those you teach. 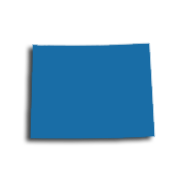 The state of Wyoming needs certified and enthusiastic teachers to fill roles in the following subject areas: health and physical education, ESL, sciences, English, math, and special education. In order to ensure that job postings are viewable by as many potential candidates as possible, the state Department of Education uses a number of third-party aggregate sites such as EducationAmerica, SchoolSpring, and Teacher-Teacher to post jobs. Teachers are also strongly encouraged to visit district websites for site specific information. Teachers looking for career paths outside of public education are welcome to apply to any of the state's 44 private schools. With an impressive ratio of 10 students per teacher, opportunities exist for dynamic learning environments. Teachers should note that salary and benefits may differ from what is offered in the public system. Teachers who have been hired may join a professional labor union. In Wyoming, options include Wyoming Education Association (WEA) or the National Education Association - Wyoming chapter. At retirement, teachers will be eligible to being drawing from their pension annuity. Pension is managed through the Wyoming Retirement System. Retirees should note that every pension is tailored to individual factors and contributions. The table below lists the number of public school teachers in Wyoming by grade level during the 2012-2013 school year. There are more than 30 private schools with an estimated 200 private school teachers in Wyoming. The table below details the number of teachers by grade level during the 2011-2012 school year. Contrary to popular belief, teachers and educators require more than classroom experience in order to improve their practice. There is in fact a strong link between teachers who engage in professional development and the academic achievement and leadership abilities of their students. In addition to student achievement, teachers who engage in planned, relevant professional development opportunities also achieve their own salary and career goals. The state of Wyoming's Department of Education has created the Professional Teaching Standards Board (PTSB) in order to function as a database and accredited agency for teachers who require renewal credits in order to maintain licensure. The PTSB regulates workshops throughout the state which are held to further develop teachers' skills and subsequently enable all students to meet Wyoming's Education Standards. The ultimate goal of each professional workshop is to enhance student learning and development. 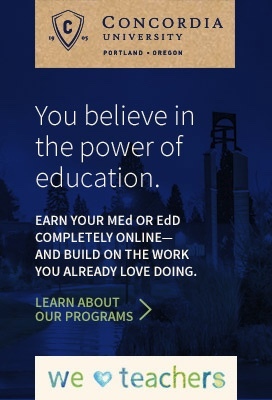 Earning a master's degree isn't necessary to earn and maintain an educator's licensure through the Wyoming Department of Education, however, doing so not only opens up doors for professional advancement and salary enhancement, it also satisfies the professional development credit requirements for licensure renewal. A Standard Wyoming Educator License is renewed every five years upon completion of at least five professional development/renewal credits. There are several ways to satisfy the renewal credit requirements, including the completion of college credits, either undergraduate or graduate. Start working toward your master's degree and you'll satisfy the professional development credit renewal requirements for one licensure cycle after completing just two courses. Learn more about earning and maintaining licensure through the Wyoming Professional Teaching Standards Board. A master's degree can also benefit your bottom line by allowing you to earn a higher annual salary. For example, educators with a bachelor's degree in the Laramie County School District #2 earn a minimum salary of $46,500, while those with a master's degree earn a minimum salary of $52,500 - an annual pay increase of $6,000. Similarly, educators in Laramie County School District #1 earn a minimum annual salary of $48,420 with a bachelor's degree and a minimum annual salary of $56,749 with a master's degree.